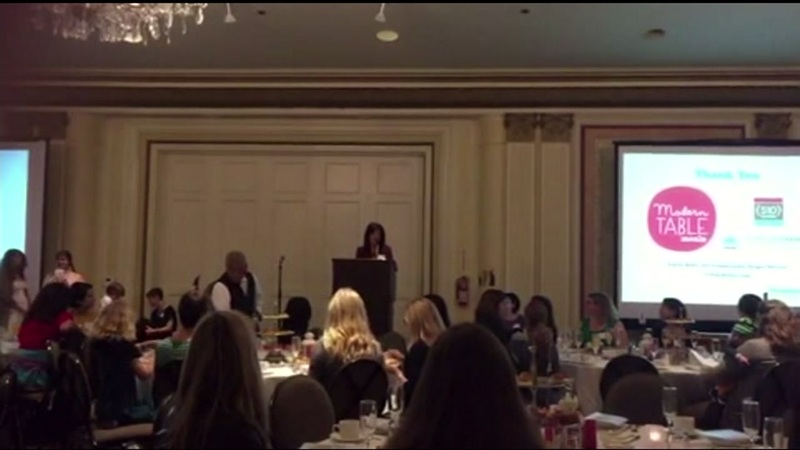 This image shows the Help a Mother Out event in San Francisco, Calif.
SAN FRANCISCO (KGO) -- Dozens gathered at the Sir Francis Drake Hotel in San Francisco Saturday to sip tea and donate money to Help a Mother Out. That's the name of the organization that started with one mother's idea in 2009 and grew into into the Bay Area's largest provider of diapers to mother's in need. ABC7 News Anchor Kristen Sze emceed today's annual event. Help a Mother Out has provided local families with three-million diapers in the last seven years.